Before they can get driver's licenses, some young Texans must take state-mandated driving courses taught by private contractors. Five deaf students sued the state after they couldn't get anyone to provide sign-language interpreters. A group of deaf Texans fighting what they claim is discriminatory treatment is hoping the U.S. Supreme Court will step in and force the state to provide sign-language interpreters at classes young drivers must take to get licenses. The high court on Tuesday agreed to hear the case, Ivy v. Morath, involving a group of deaf Texans who sued the state in 2011. The state requires first-time driver's license applicants under age 25 to take classes that are typically conducted by private companies. The suit argues that since Texas requires the classes, it should make sure there are interpreters for deaf students. The private companies were regulated and licensed by the Texas Education Agency when the suit was filed, but the duties have since been transferred to the Texas Department of Licensing and Regulation. The state argues that since the TEA did not directly contract with the companies, the state isn't liable for their compliance with federal laws on access for the disabled. Disability advocates hope the nation's high court will use the case to define when a state agency is responsible for discrimination against people with disabilities when that agency farms out public programs to private vendors. The case shines a spotlight on issues that people with disabilities frequently face, said Wayne Krause Yang, legal director of the Texas Civil Rights Project, which is representing the five deaf plaintiffs. The TEA referred all questions to the state attorney general’s office, which said it could not comment on ongoing litigation. The plaintiffs, who hail from Austin, Dallas, Plano, Midland and Arlington, say their requests for sign-language interpreters from several Texas driver education schools were denied. They also asked the TEA to provide accommodations, but those efforts were unsuccessful. They argue that the Americans with Disabilities Act and the Rehabilitation Act requires Texas to ensure that a mandatory state program, such as driver education courses, is accessible to the disabled. Title II of the ADA, which applies to public entities, mandates that “no qualified individual with a disability shall, by reason of such disability, be excluded from participation in or be denied the benefits of the services, programs, or activities of a public entity.” Section 504 of the Rehabilitation Act includes similar language, prohibiting discrimination of the disabled in any “program or activity” receiving federal funding. But the phrase “services, programs, or activities” is not precisely defined, and its meaning cuts to the heart of the deaf students' case. U.S. District Judge Lee Yeakel ruled in favor of the plaintiffs in 2013, but the U.S. 5th Circuit Court of Appeals, in a 2-1 decision, dismissed the case in 2015, saying that driver education is not a service, program, or activity of the TEA. 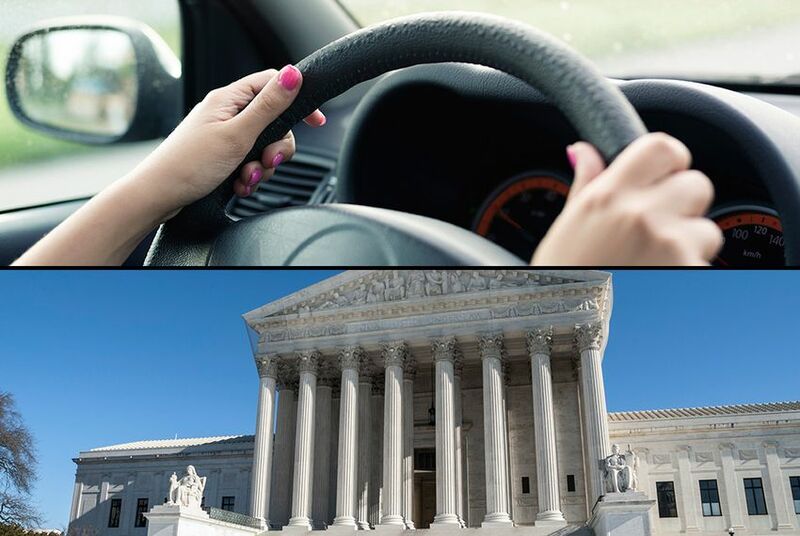 The plaintiffs appealed, arguing to the Supreme Court that the circuit’s ruling overlooked how intertwined the TEA and private driver education schools were. The TEA — and the licensing and regulation department after it — evaluate and license the schools, approve the course materials, certify the instructors and provide the school with unique course completion certificates for each student. Rather than suing each individual driving school, Krause Yang said the plaintiffs want to hold the state accountable for ensuring private entities it works with provide disability accommodations. Lucy Wood, clinical professor of law at UT-Austin, said she believes this case could clarify what constitutes a “program, service, or activity” once and for all, eliminating potential loopholes in the ADA. "This case is important because it, hopefully, will eliminate state's' ability to avoid Title II responsibility through various arrangements with private entities,” she said.